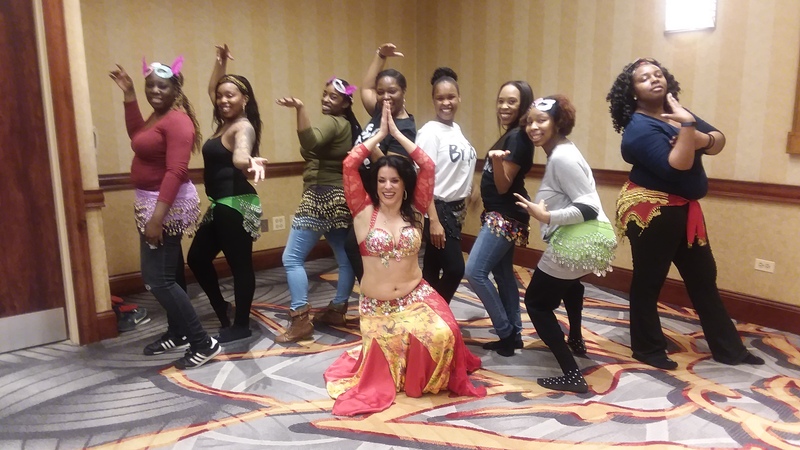 Fun and Interactive, Professional and Experienced, Bellydance by Phaedra provides belly dance entertainment for weddings, birthdays, bachelorettes, telegrams, and celebrations. Prop selections can be chosen to include canes, veils, wings, finger cymbals, or fire/candelabra. -LIVE MUSIC: Live Arabic music is also an option for an additional fee per musician. -LESSON: A Show or a dance lesson, or a combination of both? You choose. -DANCER OR DANCERS: Book a solo belly dance show or a group of dancers for an additional fee per dancer. -EQUIPMENT: Sound equipment can be provided by Phaedra if necessary. We had an awesome bachelorette party dance/instructional. Phaedra was so nice, attentive and knowledgeable with our group. We had many laughs so coin skirts were shimmering. Will definitely use her again . Phaedra was perfect for my friend's 30th birthday party! All of her communication leading up to the event was wonderful; she really took the time to call and make sure she knew the details of the event and how she could make our friend have the best time. It was extra special that she brought a mix CD and coin skirt for the birthday girl to keep as well! 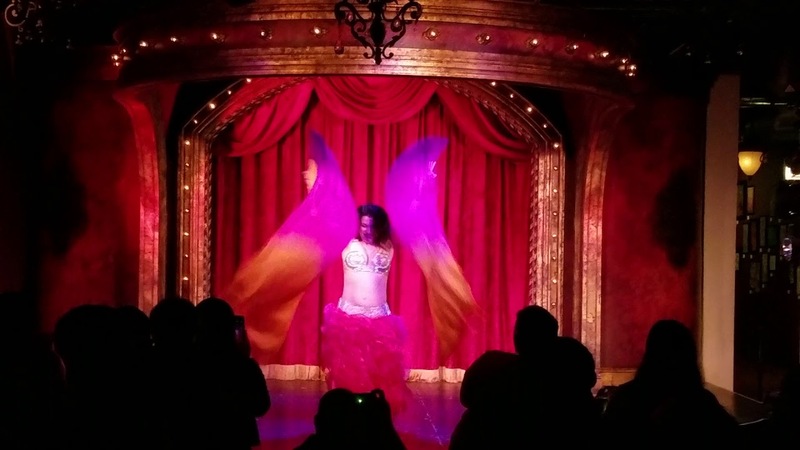 Phaedra brought amazing energy to the party, and we're so glad we booked! "IT'S NOT A PARTY UNTIL THE BELLYDANCER ARRIVES"
You can expect an enthusiastic performance which will make your audience feel comfortable enough to join in. I have taught at many bachelorette parties to girls who have never danced before in their lives, and we have a GREAT time! Everyone is encouraged to learn and jam together, and the bride walks away with a unique souvenir. YOUR bachelorette party will have a memorable experience and a BIG smile to show for it, as well as some new dance moves! My training in bellydance comes from some of the foremost masters of the art, and my love comes from my Lebanese heritage. I can hire a combo of musicians if you prefer a live show. I am also a trained vocalist (I sing and play flute and/or saxophone at weddings on a regular basis), so I can lead your group in singing to the jolly good fellow or birthday honoree at the end of my show. 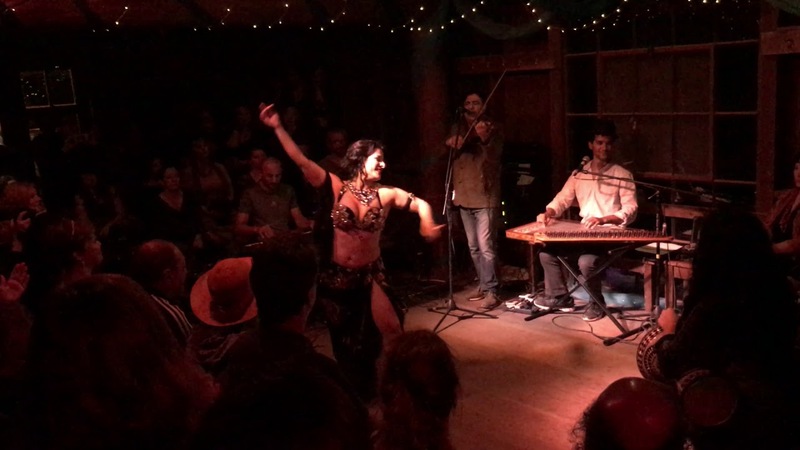 Phaedra is a professional Middle Eastern dancer of Lebanese descent who has performed at Middle Eastern restaurants, venues, and celebrations since 2009. Phaedra also teaches classes regularly in and around Chicago. Currently, she teaches at Vaudezilla Studios and can be found every Saturday night with the read my hip show at Alhambra Palace in Chicago, the largest Middle Eastern Club in the United States. sound system details are flexible and can be worked out in advance. Any variety of the following can be used in performance: wings of isis, shamadan (flaming candelabra), cane/stick, sword, veil, fan veils. The truly legendary entertainers in the bellydance and musical theatre worlds. If it is a large venue, a sound system is needed. Otherwise, I can bring my own.